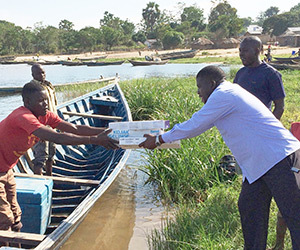 VillageReach is implementing ODK solutions to enable a more efficient paper-to-digital process, with potential to significantly improve communications by illuminating data through to the “last mile” of the health system. Translate paper data to digital format for more accurate and timely statistical analysis and aggregation. 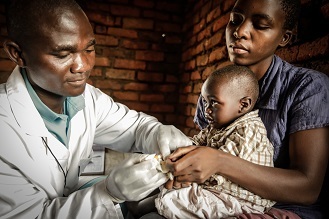 Significantly reduce the amount of time health workers spend on manual data input, allowing more time for frontline health service and delivery. Alleviate the burden on health supply chain managers in receiving and analyzing data from paper-based systems. ODK Scan is an Android application that combines a device’s built-in camera with specialized image-processing technology to automatically digitize data from paper forms, simply by snapping a photo. 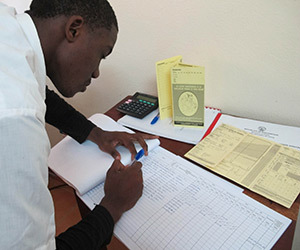 Health workers in low-resource settings fill out the paper form as normal, without reliance on additional training, device power supply, or Internet connectivity. 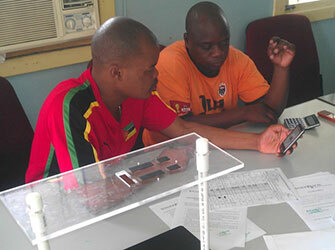 Data collection managers take a photo of the form using the built-in camera on their smartphone or tablet. Machine-readable data from the form is automatically digitized using computer vision running on the device. Form fields that are not machine-readable are displayed as image snippets to the user for easy editing and transcription. Data is synchronized to a local or cloud server, providing easy access to aggregated data and customized reports essential to health system decision-makers. ODK stands for Open Data Kit, a free and open-source set of tools that help organizations author, field, and manage data collected via Android devices. ODK tools have been used to track clean water projects in Kenya, monitor election fraud in Afghanistan, and enable epidemiological studies in Brazil, among many other projects. ODK Scan has garnered interest from a wide range of sectors, including vaccine logistics, maternal health, applied psychology, education, and capacity building. 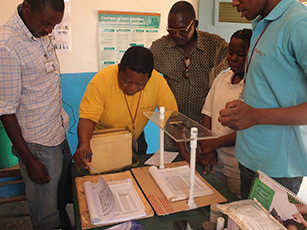 Two field tests in Mozambique with vaccine statistics and medical supply forms tested bubble and checkbox accuracy and provided essential usability feedback from community health workers. Development work in 2014 added handwritten number and QR code recognition, as well as improved accuracy in the detection classifiers. Locally-based field testing with a University of Washington Psychology Department project proved usability and technological relevance even in high-resource environments. 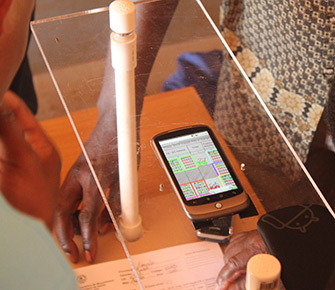 Two more field deployments are planned in 2015, specifically targeting low resource settings where other means of digitization are inaccessible. ODK Scan beta will be released in Spring 2015 as open source for public use. Even with its obvious advantages, a transition to a paperless, strictly-digital data collection and management system is not feasible for low-resource environments with weak information communications infrastructure. These settings need a scalable bridge between hard and soft copy. ODK Scan is an appropriate solution in this context as it allows organizations and institutions to continue to use inexpensive, familiar paper forms while adding an easy to use technology to improve the efficiency of the paper-based system.